My youngest sister has been visiting with us for the last three weeks. While she was here we did a lot of really amazing stuff, which you can read about here. 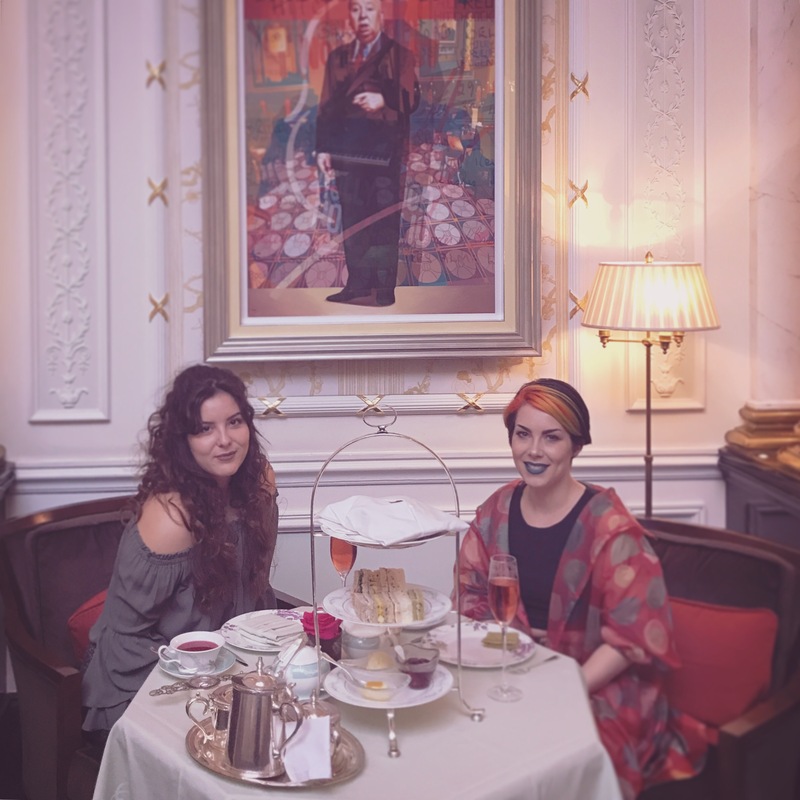 We took on two fancy af High Tea, one at the start of her trip and one at the very end. The day after she arrived we set off to The Savoy Hotel for a champagne high tea(158.00£ for two). Upon arrival at the gorgeous art deck main entrance of The Savoy we were treated and directed to the Thame Foyer where w would be having out High Tea. We were greated again by the hostess and promptly shown to ourtable. Our very nice waiter introduced himself, he served us throughout our stay, filling tea cups, and offering refills. The tea itself starts with Champagne, wopted for the pink Moët. Their selections of tea is very nice, it has something for everyone including black tea classics, white teas, as well as green and fruit teas. I had the classic Earl Grey while my sister had a Hibiscus and berry tea. The High Tea itself consisting of warm scones with two kinds of jam and clotted cream, a selection of pastry, finger sandwiches, and a final offering of cake. We left very full, however; the sandwiches were a bit stale as if they’d been made much earlier in the day(we arrived at 11:30am). The cakes were nice but obviously had been defrosted. Overall I would give it a 7/10. I would suggest this if you’re looking for some classically glam surroundings, the service and experience overall are good. The scones were delicious and my tea cup was always full, but overall it was the food that left me a little underwhelmed. 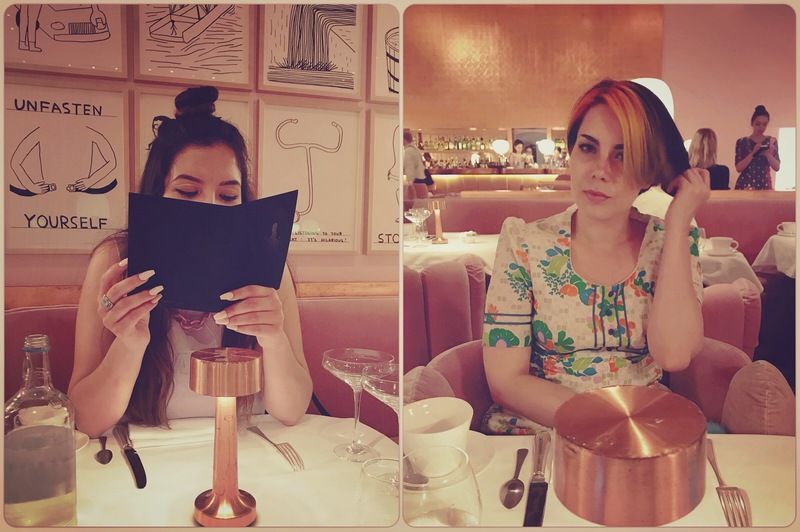 We started my sisters final day in London with a High Tea at sketch(140£ for two). She had been asking to go to sketch, specifically The Gallery where they serve their High Tea. This if definitely the more stylish of the two High Tea’s we had, but when every aspect of is designed by an artist it’s expected. The food was of the same quality, some parts had obviously been frozen and thawed, but they were served with such flair that you barely cared. The tea selection was very similar to what was on offer at the Savoy; black teas, white teas, and fruit teas. Overall I would give it a 8/10. Sketch itself is just more fun than The Savoy, with the famous ‘bathrooms from space’ and the weird and wonderful decor it’s just a different experience all together. I’ve visited sketch on several occasions and have always enjoyed myself, this was my third time dining in the Gallery.